If you hurt or kill another person, whether it was intentional or accidental, there will be consequences. These penalties are on a scale of moderate to severe, depending on the outcome of your actions, as well as your motives. A planned and premeditated killing will invoke a harsher penalty than a crime of passion or “heat of the moment” murder. Even if the killing or violence was justifiable in your mind, you will almost certainly face jail or prison time for being charged with murder, armed assault, or assault that caused serious bodily harm. 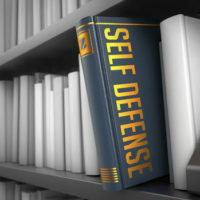 The only instance in which you can be cleared of all charges is to prove to the court that you acted only in self-defense. In order for a self-defense claim to be valid, you and your attorney must be able to show that the threat you faced was imminent–that it was just about to happen or was in the process of happening. For instance, if someone had a knife in their hand and attempted to stab you, and you were able to knock the knife out of the hand or hit them on the head with an object, that would constitute an immediate threat. Similarly, if they merely had told you that they were going to cut you with the knife if you did not hand over your wallet, and you were able to stop them with violent force before they made a move to cut you, that would also possibly constitute an immediate threat and a justifiable use of violence. In general, the threat must be immediate, which means that you cannot use violence in the absence of that threat, such as hitting or shooting the person as they walked away. Additionally, belief in future harm is not a valid reason for using violent self-defense. If a person threatens you and says they will kill you if you do not give them money by the end of the week on Sunday, even if you believe that they will kill you, you cannot hurt or kill them on Friday. What if I Thought There was an Immediate Threat, But it Turns Out I was Mistaken? One of those two beliefs was not reasonable and no such threat was necessary or that deadly force was not necessary. In Virginia, voluntary manslaughter is a Class 5 felony punishable by up to 10 years in prison, as per Virginia § 18.2-35. If you acted in self-defense, and are being charged with assault or murder, do not wait any longer to contact an experienced attorney. Call the Loudoun County, Leesburg, Winchester, Fairfax, and Prince William criminal defense team at Simms Showers, LLP today at 703-997-7821.